The popular Genting Poker Series is on now with a great event in Westcliff-on-Sea on the Essex coast. There is a £100,000 guarantee for the £440 Main Event and a host of other side events on as well. There are three start flights for the Main Event, including 1a at 1pm today, 1b at 1pm tomorrow and 1c at 8pm – so plenty of time to get down there! 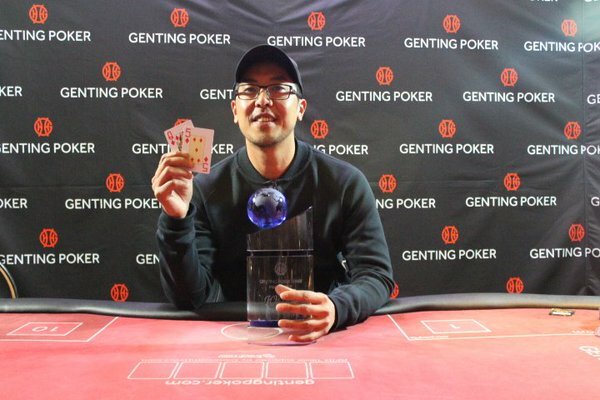 Last year’s Westcliff Main Event attracted 245 entries with Danny Tran taking it down for £25,000. Tran has more than $300k in live tournament winnings to date, including victory in Westcliff both last year and in 2013, and a sixth place in 2014. One of the great features of the Genting Poker Series tour is that if your chips total less than the starting stack when you’re bagging up, you can opt to hand them in and re-enter the following day. There are 18 events planned for 2017 taking place right across the UK. All the “Mini” events have a £220 buy-in with £35,000 guarantee while the major £440 buy-in events – such as Westcliff-on-Sea, Liverpool in August, Edinburgh in October, boast a £100k guarantee.